Our mediators and arbitrators are skilled and experienced in negotiating the resolution of disputes and in deciding matters in dispute. Mediation and arbitration, also known as alternative dispute resolution, are methods of attempting to resolve a dispute through means other than litigation. 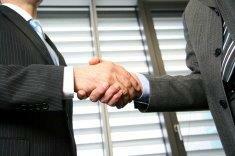 In mediation, parties engage in a structured negotiation through the use of one of our attorneys as mediator. The mediator acts as a neutral third person helping the parties to reach a settlement of their dispute. Mediation is non-binding and settlement is not required. However, the parties may reach a settlement of their dispute through the mediation process and enter into a settlement agreement. In arbitration, a neutral third person acting as arbitrator decides the case as presented. Arbitration can be binding or non-binding depending on the process selected by the parties. Our attorneys acting as arbitrators will hear the case presented to them by the parties and prepare an arbitration decision on the matter in dispute. Mediation and arbitration can be effective methods of resolving a dispute before litigation is filed or before a matter proceeds to trial.